Item Number: 166-40-20Y 19799 Actual Weight: 0.5 lb. 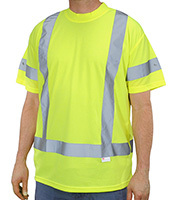 Birdseye mesh t-shirt is made of 100% polyester and has excellent moisture wicking capability to help you stay cool. Use when Class 3 ratings are required for workers in areas of high speed traffic or near heavy machinery. 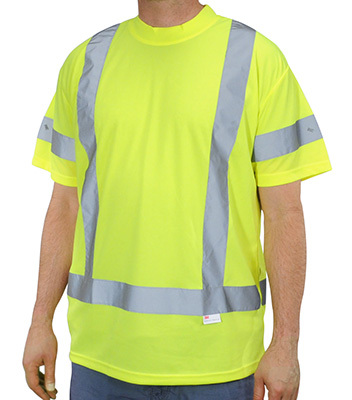 2" 3M reflective tape is sewn to front, back, and sleeves for visibility at night. Meets ANSI/ISEA 107-2010 Class 3 requirements. Can be custom printed. Sizes up to 7XL are available; call for details.